Sustainably grown from fair trade vanilla farms in Madagascar, Mexico, & Tahiti. Sugars are raw washed in 1 lb. bags. If you’ve never experienced pure, all-natural vanilla, you haven’t really experienced vanilla. Genuine vanilla extracts will spoil you for the weaker supermarket substitutes many of us grew up using. No one understands this better than Patricia Rain, who’s known as the Vanilla Queen in tropical regions where the spice is cultivated. Patricia’s interest in vanilla started with culinary curiosity and lead to her becoming a renowned author, advocate, and provider of the best quality vanilla you can find. Patricia’s passion for vanilla extends to the farmers she sources her beans from—by supporting Fair Trade farms that pay fair wages and advocating for better working and living conditions. Patricia and The Vanilla Company offer pure vanilla goods that celebrate the unique local characteristics of each area’s crop. 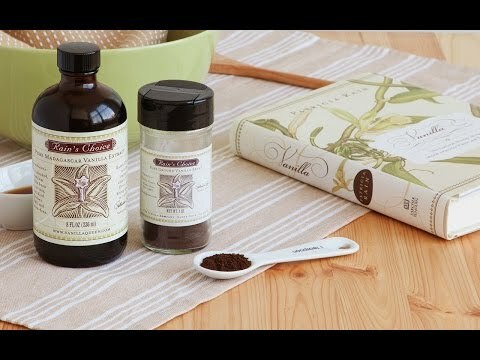 The vanilla extracts and powder are an affordable luxury that will make a difference not only in your baking and cooking, but also in the lives of the people who cultivate them.